This is the list of gear choices the contestants made for season 3 of the Alive show, and how often it was chosen. Many of the choices they made are wrong in my opinion. I mean there are many ways of doing something, and we each have our preferred methods. Below you will find what I would choose and why. I’ll share my perspective having done 6 months living in the wild with rations of 1250 calories per day. The location dictates the gear; therefore this list is just a guide. I’ve made an updated alone gear list article that analyses all the seasons along with the choices of the winners, and my current opinion. I would bring a hybrid or synthetic sleeping bag with mosquito net attached rated to the coldest temperature I would experience according to historical temperature records. It should be a hybrid or synthetic sleeping bag because after long term use they loose their insulation power due to dampness from your body or the environment. It shouldn’t have a goretex outer layer because it traps moisture. If a down sleeping bag gets wet it looses its insulation completely; they are off the table. The mosquito net can be a life saver, but you must sew it with a zipper to your bag. I spent days camping without mosquito net hiking the entire Pacific Crest Trail, and I wouldn’t do it again. The sleeping bag is important because the body uses calories to keep itself warm, and long term survival is all about calories. When your body is starving you loose fat, and fat keeps you warm. During the 6 months I spent in the boreal forest I was very cold because I lost about 30 pounds at my lowest point. If the temperature I could expect for a cold night in the Andes foothills in Patagonia is 5°F (-15°C); then I would bring a sleeping bag rated for colder temperatures like -15°F (-26°C). I would bring a Lamina Z Blaze -15 Sleeping Bag rated -15°F (-26°C), it is synthetic and weights 4 lb. 9 oz. Monofilament line is a no no for long term survival. It just breaks easily and snaps at below freezing temperatures.Give me 50 lbs braided line (I’m not sure if the rules allow for braided line). The hooks must be strong treble hooks; once single hooks brake they become useless, but a treble gives you three chances. Trebles work well for trot lines too. You could also use inner paracord strands. They work very well if you braid 3 strands. I would bring 300 yds. Piscifun braided fishing line 50 lbs strength and 25 Mustad Extra Strong treble hooks. Yes, the convenience of quick and easy fire lightning is worth to have. Using a bow drill uses up energy. I would bring a 1/2 inch by 6 inch ferro rod. People might think that you could maintain a fire throughout the challenge, but that would mean using up extra firewood (and in turn using energy gathering it). It saves more calories to start a fire every day, than to use up extra wood to keep an ember covered in ashes overnight. The last contestant to win lasted 87 days (he didn’t bring rations by the way). Five pounds of flour amount to 8,255 calories, that won’t give you a ton of advantage. The daily recommended intake of calories per day is 2000 (for someone in civilization). I would bring whatever could potentially provide more calories: it boils down to doing the math of how much food (in calories) you expect to gather with an item vs. the potential 9000 calories from a ration. If you think you might only hunt 30 squirrels (< 3000 cal) with your bow; it would be better to bring rations instead. A great way of bringing rations is to fatten up before the show and gaining muscle mass to provide your body with fat and protein. Fat has 3500 calories per pound. I would bring a knife! The knife is very important for filleting, skinning, wood carving etc. A knife is a must. There is no question about this item. It should be fixed blade, full tang, have a sheath, and be comfortable. I prefer stainless steel because it stays sharp longer than carbon; although it can’t be as easily sharpened. I would bring a Morakniv Knife with Stainless Steel Blade 4.1-Inch. I would bring a hatchet. A small axe would be very helpful to cut stuff for the shelter and fire, it is also great for doing quick wood carving. I would bring a Schrade SCAXE2 hatchet. It has a sheath, it is 11.8 inch (30.0 cm) long and weighs 1.37 pounds. It is a very good axe that I used everyday during my 6 months in the forest. The only thing is that you must be familiar with the safe use of an axe. Two contestants have injured themselves so far with an axe. Absolutely, a pot is super important. You can boil wild edibles (in fact many wild edibles must be cooked to be edible) and cook anything in a pot. You will make tea, get Vitamin C, and a full stomach. It will serve you to carry water and works as a perfect container. I would take a stainless steel MSR stowaway pot that is deep rather than tall, so I could do some frying too. It should hold at least 1 liter. If you are bringing an axe/hatchet then you don’t really need a saw. Saws can’t be sharpened without special tools. They are structurally weaker than an axe. They perform the same function (although more specialized); besides, you won’t build a log cabin. Update: some contestants actually tried to build a cabin in season 4 (they didn’t last as long as the ones that stayed in under a tarp). And even then, you could build a cabin with just an axe. Paracord is amazing. You won’t find any natural cordage that compares to it. It has 7 inner strands plus an outer cord. You can make fishing lines or nets with the inner strands (braid 3 strands to make a durable fishing line). Use it mostly for gathering food though. Do not waste it for your shelter; use roots or natural cordage instead. I would bring ROTHCO type III nylon paracord. Definitely. I brough a bow in my six months and although one of its limbs broke, it gave us red and white meat. I do not know why not many people choose a bow. If the location has abundant small game then I think it might be a great idea to bring one. You can hunt grouse, rabbits, squirrels, and big game too. I would bring a 45 lb SAS survival bow. Plus 2 G5 Outdoors fixed blade broadheads and 4 judo small game points. Guesstimate the amount of calories you might obtain with a bow and if they are more than 9000, then decide between a bow and rations. Don’t people already have a tarp in the “safety gear list”? A tarp is part of the mandatory gear, and that’s why the majority didn’t choose one. Use your pot for water. Besides you will stay close to water anyway. Multi-tools have an uncomfortable grip. You are better off with your knife and axe combo. The name of the game is food. I don’t think the multi-tool makes your food gathering easier; unless you had access to wire and then you could make hooks with it. The Leatherman Supertool 300 would be the best multi tool to take because of it’s durability. I don’t think having a multi-tool is a bad idea, but it needs to be part of a strategy to justify choosing it. It could be used to make a trench as part of your shelter and for primitive trapping. It can also be used to gather wild edibles, and to get clay. If it would be useful for gathering food in your location; bring it. I would bring a fixed shovel like the one Zachary Fowler brought. I haven’t tried it, but has good reviews looks simple and sturdy. Unless you have lots of spare bands for the slingshot it wont last much use. I rather have a bow because arrows have a consistent weight and shape; which makes them more accurate than random sized rocks. Unless you had clay or steel projectiles for the slingshot, the bow is more accurate. A sling bow might be a good compromise of portability and accuracy (not sure if allowed). Although the band is still a weak link. It seems like a good idea but you can use a rock instead. The bivvy will trap condensation in your sleeping bag and slowly decrease its loft. The tarp included in the safety gear list combined with a proper shelter would be enough. Absolutely. I saw Agafia using her net in a documentary. She spent decades living off the forest with the Lykov family. If there is a river nearby or even in a lake you could use the net to catch fish. If you have no luck, there is plenty of cordage in it. I would bring a custom net made of braided cord for durability, a Best Glide survival gill net should also work. Use the pot. You can fry in a shallow pot. The hammock is an item that fulfils a need that could be obtained from natural materials (pine bough bed). Food is the priority not comfort. I would swap paracord for a hammock if they allowed me to bring a custom made hammock made of paracord and braided fishing line. 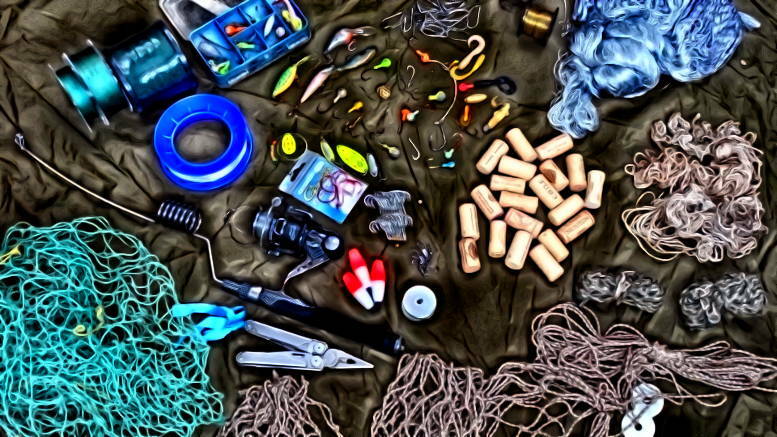 As soon as I got dropped I would unravel all the paracord and line, and use it for fishing. 2 Comments on "The 10 gear mistakes of Alone contestants"
Excellent reasoning and I appreciate the thought that you put into each, thank you. You welcome, I want to get in the show but there were like 14,000 applicants last casting call. So I’m planning my own survival expedition anyway.